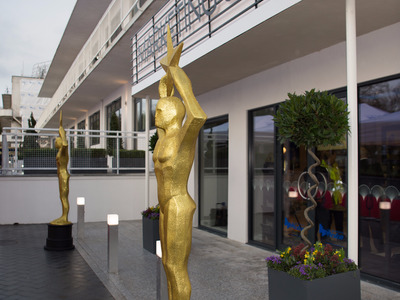 LONDON — The iconic Denham Film Studios has been turned into a series of luxury movie-inspired properties. 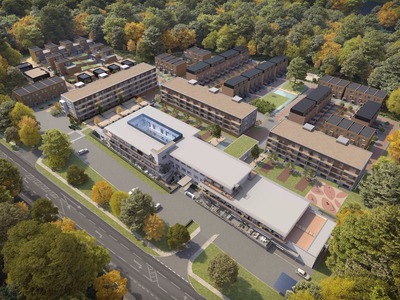 The development, located in Buckinghamshire, south-east England, consists of 154 apartments and 70 townhouses. The studios and laboratory operated between 1936 and 2014 and formed a seminal part of Britain’s film history, but fell out of favour as studios moved towards digital film-making and demand fell for Denham’s traditional film-making methods. Now, the site has a new lease of life, and its film-making heritage will be apparent. 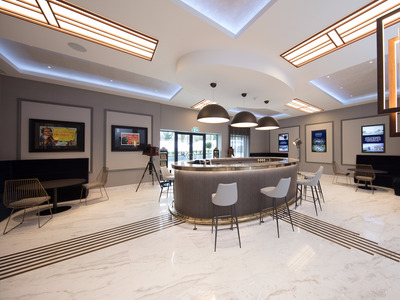 As well as movie-themed communal spaces, the local council has given permission for the buildings and streets within the development to be named after the movies, directors, and actors most closely-associated with the studios. 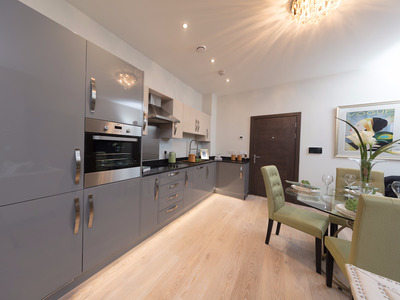 Take a look at the new properties. Denham Film Studios was opened in 1936 and became known as 'Britain's Hollywood.' Films produced and edited at the studios include Treasure Island, The Great Escape, Star Wars: The Empire Strikes Back, ET, and many in the James Bond franchise. 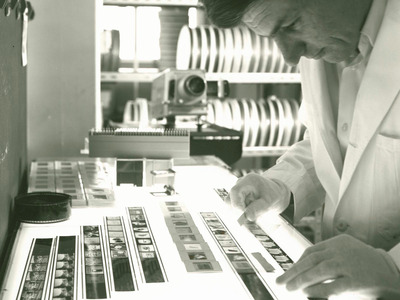 In its 1950s heyday it was the largest and most advanced film laboratory outside of Hollywood, producing over 500 million feet of film every year, with completed films distributed to cinemas around the world. 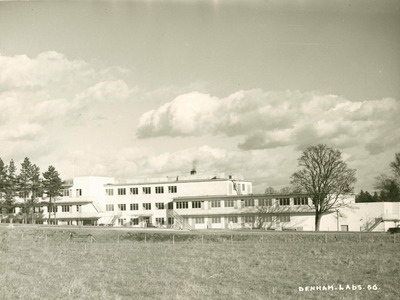 During the 1930s over 1,200 people were employed at Denham. The Grade II-listed former studio and laboratory building is now known as Korda House, after Alexander Korda, the founder of the Denham Film Studios. 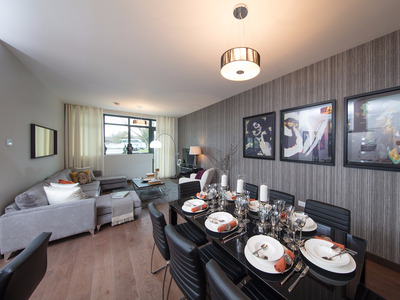 There will also be apartments in a new-build development called Saltzman House. 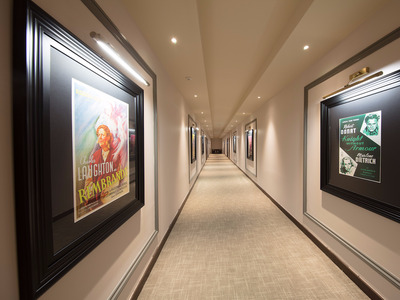 The communal corridors and cocktail bar of the apartment buildings will feature framed movie posters of the films made at the studios. The grounds will feature movie memorabilia (pictured) and large plates of glass etched with scenes from movies produced at the film studios. 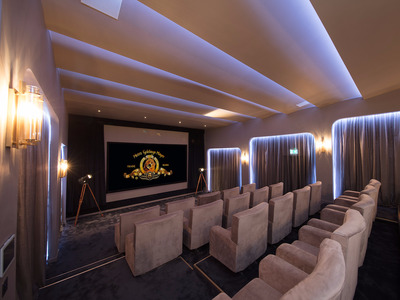 The new Korda House development includes the newly-restored Art Deco cinema, where famous movies were first screened to their directors, including many of the James Bond movies. Alongside the cinema is an art deco cocktail bar. 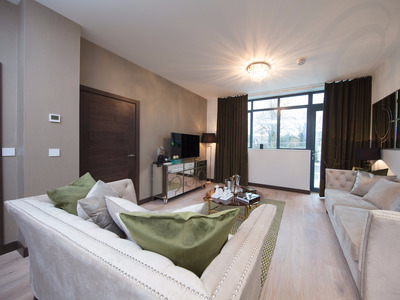 Prices for apartments in Korda House start at £350,000, while prices for houses, which go on sale in October this year, start at £800,000. Prices in Saltzman house start at £315,000. 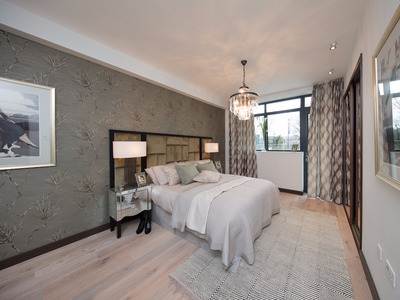 This is a one-bedroom art deco-themed apartment in Korda House. 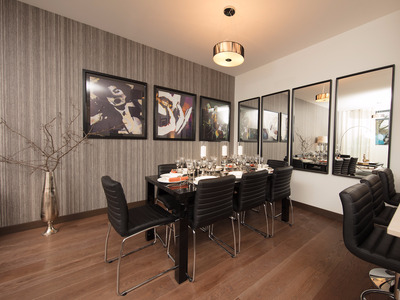 This is a dining room in one of Korda House's two-bedroom apartments. 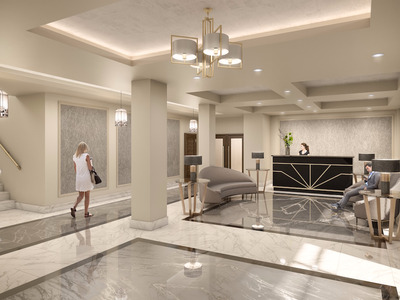 64 apartments within the development are now on sale. 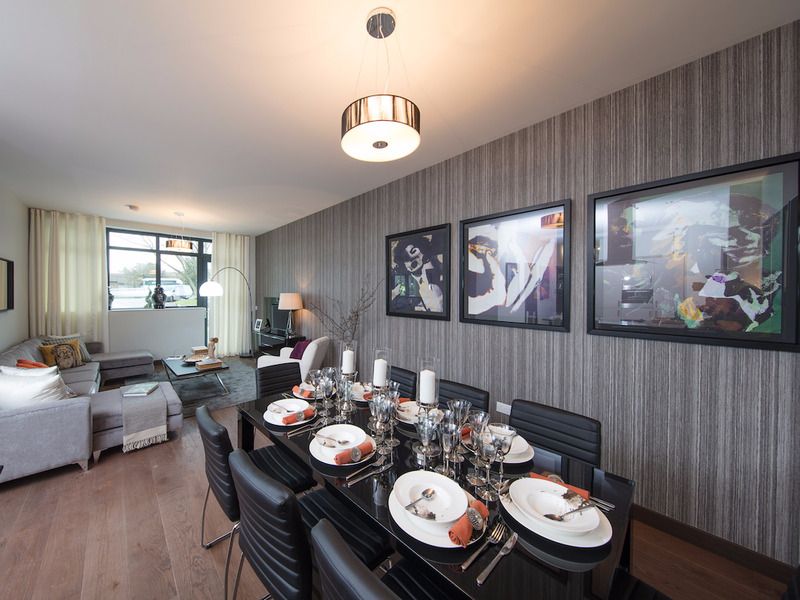 Each includes big windows, balconies or terraces, underfloor heating, and oak flooring. A model of the finished development, which is nearing completion. Street names will include Stanley Kubrick Road, Albert Broccoli Road, Celia Johnson Close, Greer Garson Road, and Noel Coward Avenue.